Knowledge, Exposure & Networking is the key factors of success in today's world. INDIA 5000 is Fastest Growing Leader in business awards for most promising & upcoming businesses of India. INDIA 5000 Business Awards is dedicated to celebrate the real spirit of business, entrepreneurship and leadership in India. Business awards in India can be amongst the most dominant and profitable marketing tools. 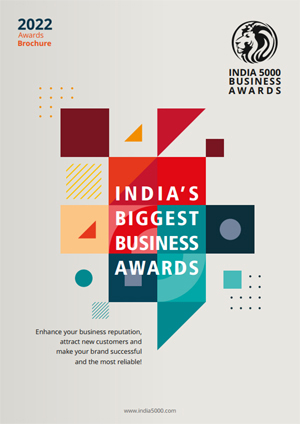 INDIA 5000 Business Awards help you reach your potential customers with superior confidence and effectiveness because of the marketing and PR value of our awards.